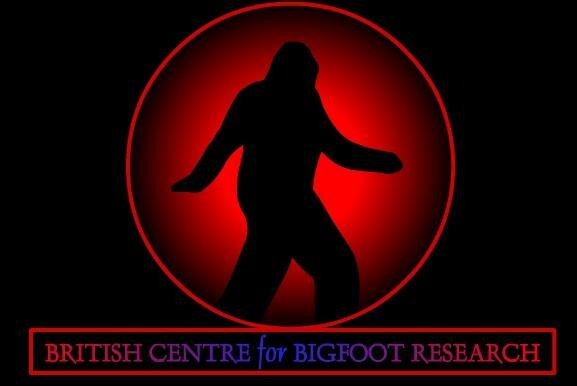 British Center for Bigfoot Research. What is a Bigfoot / Sasquatch? Stories of Bigfoot have existed for hundreds of years mostly through Native American legends which describe wild men of the woods. Numerous native tribes have given these "entities" various names such as Omah, Windego, Bookwus, and Rugaru. One of the most common terms is Sasquatch, which was coined from the Native American name Sesquac by a man named J W Burns who wrote articles on the subject while teaching on an Indian reservation. This was back in the early part of the 20th century. Other names which have appeared over the year include Skookums, Skunk Apes, Swamp Boogers, and Mountain Devils. The most popular name is of course Bigfoot. As more and more whites entered the forests to set up homes and build roads, more and more reports of giant hairy men appeared. Most people who revealed their strange stories where laughed at and were at risk of becoming the local yokel who likes to drink too much. We can only wonder at how many people kept their sightings a secret. It seems only now people can be taken seriously, there are some who come forward with stories that took place in the 50s but were too afraid to tell them! There have been a few well publicised stories including Albert Ostmans encounter in 1924. He claimed to have been kidnapped by a family of hairy bipedal apes how kept him for a week before he escaped. Also in 1924 was the story of Fred Beck who supposedly shot a Mountain Devil while out on a prospecting trip. He and a few others said, while in a hut they were bombarded with rocks by these creatures. The one Beck claims to have shot fell into a ravine and was never found. In 1958, while building a logging road in Bluff Creek, California, Jerry Crew found numerous large footprints which he cast in plaster. A photo of Crew holding one of his casts was published in a news paper with the headline "Bigfoot" which became a common term. The most famous and most controversial encounter also took place in Bluff Creek on October 20th 1967. The witnesses were Roger Patterson and Bob Gimlin. The two men were out specifically looking for evidence of Bigfoot, they were able to travel into the most remote areas as they went on horse back. When they rounded a bend they came across a Bigfoot crouching by a stream. When the creature saw them it stood up and began walking towards the tree line. As it stood Pattersons horse reared up and threw him to the ground, he quickly grabbed his 16mm Kodak movie camera from his saddle bag and began filming. The footage he obtained shows a female Sasquatch walking casually into the forest turning once to look at its pursuer. Over the years there have been many scientific studies on the Patterson film, most trying to debunk the material as fake but none of these claims have been substantial enough to prove the film is a hoax. One researcher on the subject, the late Dr. Grover Krantz, says that there is no human who could possible fit into a suit with the dimensions seen in the film. Most Bigfoot enthusiasts would agree. Nowadays, Bigfoot is taken more seriously. With the invention of the World Wide Web people have been able to communicate better and organisations have been established. The subject has also attracted more scientists and the phenomenon has become a little bit more acceptable although, there is still a long way to go before the general public accept this as a real animal and not a mythical "monster". Contact British Center for Bigfoot Research. Copyright: All rights Reserved: British Center for Bigfoot Research, 2002.